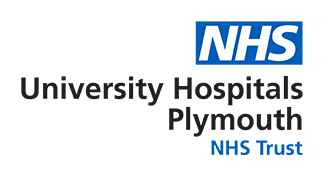 Plymouth Hospitals NHS Trust Trauma, Orthopaedic and Rheumatology department provides a complete range of musculoskeletal services at Derriford Hospital. This includes Trauma, Orthopaedic and Rheumatology outpatient services held primarily in the Orthopaedic and Rheumatology Outpatient Unit (a new custom-built unit - adjacent to the disabled car park at Derriford Hospital) and the Fracture Clinic (level 6 of Derriford Hospital). Elective and trauma day surgery and inpatient surgery takes place covering upper limb, hand, wrist, hip, knee, foot and ankle surgery. The Rheumatology department also treats day case patients with therapeutic drugs at Derriford Hospital. The Trauma, Orthopaedic and Rheumatology department consists of 20 Orthopaedic Consultants and four Rheumatology Consultants offering the largest range of specialist musculoskeletal services in the south west peninsula. The department has grown over the past eight years from a group of nine orthopaedic consultants and two consultant rheumatologists to the current compliment of 24 consultants. The Trauma and Orthopaedic department has specialists in Trauma, Hip and Knee surgery, Upper Limb surgery, Hand and Wrist surgery, Foot and Ankle surgery and Paediatric orthopaedic surgery. The Rheumatology department covers all areas of general Rheumatology using a multidisciplinary team approach. The department has dedicated inpatient wards at Derriford hospital, these include a fractured neck of femur unit and a ward for hip and knee surgery. The wards are run by the senior orthopaedic nursing team including a matron and senior ward sisters. The department also has a dedicated outpatients and fracture clinic area located on level six of the hospital run by a senior orthopaedic sister. Children are seen in the dedicated paediatric unit located on level 12 of the hospital. The Trauma, Orthopaedic and Rheumatology department offer the population of Plymouth a complete range of services including complex trauma services and major surgery which could only be undertaken at a site containing an intensive care and high dependency unit. The department prides itself in providing patients with the most up to date medicine and surgery using a multidisciplinary team approach to ensure patients are given the most appropriate care. As part of the Enhanced Recovery After Surgery programme, all patients undergoing primary hip and knee replacements are invited to attend a one off education class in the Joint School. Patients are given key information to help prepare and plan for a successful recovery. Short presentations are given by a Ward Nurse, Physiotherapist and an Occupational Therapist. This also gives patients the chance to meet others undergoing the same operation, to ask questions, express concerns and also to see and hold a joint replacement. Patients benefit from the combined knowledge of the consultant specialists working in conjunction with a dynamic medical school and junior doctor training programme which ensures we deliver safe, quality health care to the people of Plymouth and its surrounding area. Treatment is provided to adults and children with traumatic injuries requiring a specialist opinion and/or intervention and to adults and children requiring a specialist Orthopaedic or Rheumatological opinion. The service at Derriford is supplemented by the provision of outpatient clinics at Kingsbridge Hospital, Liskeard Hospital, Bodmin Hospital, Brixham Hospital, Launceston Hospital, Newton Abbot, Treliske Hospital, Tavistock Hospital, Mount Gould Local Care Centre and the Child Development Centre. Outpatient Paediatric clinics are provided once a month through a different school though each month. Rheumatology Outpatient Clinics are also provided at Mount Gould Local Care Centre, Liskeard Hospital, Tavistock Hospital and Kingsbridge Hospital.